Allstate is the largest publicly-held personal insurer in the U.S. and provides the third-most auto policies to drivers in the United States. For this reason, many auto accident victims must file claims with Allstate in an attempt to obtain the compensation they deserve for the damage and injuries they sustained in the collision. Because so many injured accident victims must deal with Allstate, the following is some information regarding the claims process with this company and some past settlement results. Allstate provides an online claim management system 1 that allows an accident victim to file a claim, “gather the facts,” resolve the claim, and ask questions. While this online access may seem convenient and in you best interests, the online claims process urges accident victims to provide significant information regarding the events and details of the accident and of their injuries. In reality, it is critical for an accident victim to consult with an experienced car accident attorney before giving such information to an insurance company. A claims adjuster can take small details that may seem unimportant to you and use them to try to limit liability and reduce the amount of your settlement offer. In recent years, Allstate has been under fire for the way it uses software to calculate settlement offers for claims and was the subject of an investigation by the National Association of Insurance Commissioners, to which Allstate paid $10 million in 2010 to settle 2 the claims against the company for improper practices handling bodily injury claims. A former claims project manager for the company even came forward 3 to work to publicly expose the way Allstate allegedly manipulates its computer programs to limit the amount it pays to claimants with bodily injuries. Because of the notoriously low settlement offers provided by this company, no accident victim should accept an offer for bodily injury until they have the offer carefully reviewed by a skilled injury attorney. Our Law Firm’s Experience with Allstate Ins. Co.
Man is struck while standing at a bus stop on Sunset Boulevard in Hollywood. He requires knee surgery due to a torn ligament. He is offered $9,000 (less than his medical expenses) by Allstate for settlement. After our office was retained, he was able to have the knee surgery at no cost to him up front and was ultimately paid the FULL policy limits of $100,000. Lady is involved in a “T-bone” collision because an Allstate insured driver ran a red light. Liability is not disputed, however, there is an argument made that the tingling and numbness she experienced down her extremities was not a result of the incident but, due to a pre-existing medical condition. Initial settlement offer was $21,000. After our representation, she received the FULL policy limit of $250,000. As you can see, having quality legal representation when presenting a claim for bodily harm to Allstate makes all the difference! It is imperative to have highly qualified legal representation to ensure the highest possible award or settlement in your case. Whether you are dealing with Allstate or any other auto insurance company, the claims process may not always go as planned. 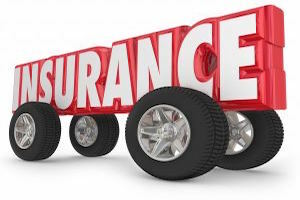 In order to ensure you receive the full insurance settlement you deserve following an auto accident, do not hesitate to contact the Steven M. Sweat, Personal Injury Lawyers, APC at 866-966-5240 for a free consultation as soon as possible.